I would like to introduce 400 + page Chinh Khi Viet - Pham Trong Luat's 6th book which will be published in August 2017. I. THERE HAS NEVER BEEN A NATIONAL RESENTMENT DAY OF APRIL 30th 1975 IF THE FIRST REPUBLIC OF VIETNAM UNDER PRESIDENT NGO DINH DIEM HAD BEEN KEPT IN PLACE. The author would like to give respectfully thanks to Honorable Late President Ngo Dinh Diem, His brothers, His staff in the Republic of Vietnam's military, political and administrative personnel who were sacrificed their families and personal happiness, their youths and knowledge, part of their bodies or their whole lives for the real sovereignty and safety of Vietnam; for special traditions of Vietnamese people created, preserved and developed for thousands of years. I would like to give this present gratefully to my parents who have given my birth and my education; to my older brothers and sisters who had continued taking care of me and brought me to freedom on behalf of our parents from November 1976; to my late older Brother, Lieutenant Pham Van Dao of 21st Division, 33rd Infantry Regiment of Republic of Vietnam Forces who was ultimately sacrificed on May 17th 1974. My many thanks to folks in Cai San, senior relatives in Cai San area which has been my birthplace and growing up with my peaceful childhood in the lovely embracing arms of my neighbors. 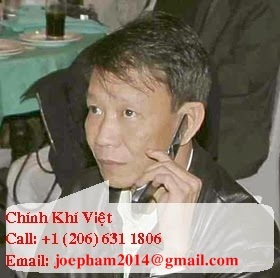 My special thanks are given to senior journalist Viet Thuong Tran Hung Van who helped me in determination and choice of the best way for my struggle against Viet communists and their followers; in the spirit motto of Fatherland - Honor - Responsibility. And finally, thanks to my beloved wife and children whose encouragement made my sixth book to be fulfilled. It has been 42 years from April 30th 1975 to April 30th 2017. Forty two years for over three million refugees who fled their country and must accept their temporary lives in exile from nations all over the world. Forty two years for ninety million Vietnamese lives under hardship without adequate foods and basic human rights. Vietnam now after 42 years has been ruled by the communists and their followers who are cruel and stupid monkey-liked creatures coming to cities and villages of the South from mountainous Truong Son as "liberators" but in the reality as stupid corrupted conquerors who forced ninety million Vietnamese without human rights under their dictatorship. April 30th 1975 was a date of catastrophe for not only people of the South but also for people of the North. 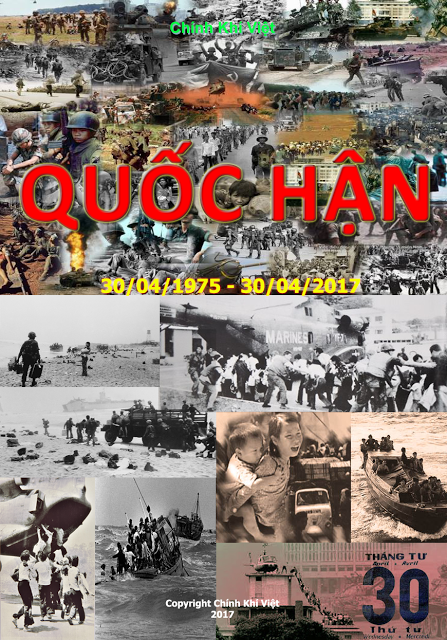 April 30th 1975 has been a national resentment day for people of whole Vietnam. But who are culprits of that disastrous National Resentment Day of April 30th 1975? Alongside of history and destiny of war-torn fatherland and its miserable people, accurately at midday of November 1st 1963, the first gun fire from a bunch of thug-leaders such as Tran Thien Khiem, Duong Van Minh, Ton That Dinh, Tran Van Don, Mai Huu Xuan, Nguyen Van Thieu, Nguyen Huu Co, Nguyen Van Kim, Do Mau ...who received tip-money from US government at that time had been shot to overturn and murder their supreme commander in chief; also President of the First Republic of Viet Nam Ngo Dinh Diem. They had helpful hands from a close-shaven head monk, leader of An Quang Buddhist sect bandit, servant of communist North Vietnam. Disaster has come to Vietnamese people throughout Ca Mau to Nam Quan border gate; including South Vietnam, from that moment of that day. That has been a disaster of national loss, National Resentment Day of April 30th, 1975. As a witness of historical unrests from Nov. 1st 1963 to Apr. 30th 1975, I think that there are missing facts from documents and writings of National Resentment Day of Apr. 30th 1975; written by many authors for many years. Fortunately for history, there is a man of our younger generation, Mr Pham Trong Luat with his pen-name Chinh Khi Viet whose heart is totally belonged to his country and its people. He has a clear and high spirit in anti-communist standpoint and a whole heart for the First Republic; for soldiers and national police officers of the Republic of Vietnam. His respect and sorrow for late President Ngo Dinh Diem of the First Republic of Vietnam has been outstanding indicated. He has a lot of works on collecting of thousands of documents from many political directions which is a result of his book: The National Resentment Day of April 30th 1975. I have just finished my reading of his draft. 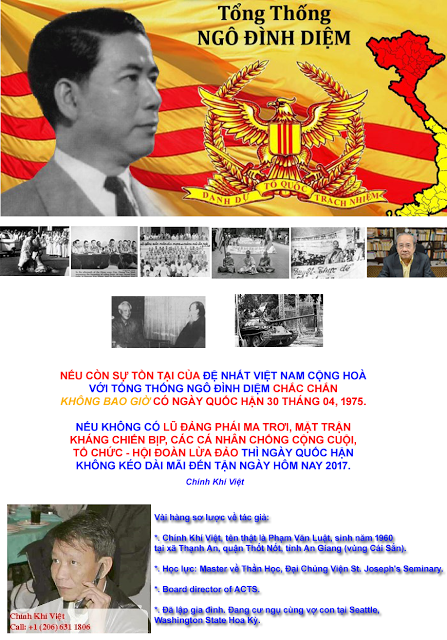 With my sympathy and respect, I think this is an accurate and high valued writing of the National Resentment Day of April 30th 1975 that author Pham Trong Luat has written with his extraordinary collecting. There are full of pictures and video clips as proven facts in his book; for which, a period of war-torn fatherland and its miserable people has been created by a bunch of thug leaders who came from their roots of red and green loin-cloth guards during colonial occupation and by a bunch of communist, lewd-conduct and greedy monks from Vietnam United Buddhist bandit organization. This documental book is a plus for historians; for people of this and next generations and especially for many other generations to come in search of the root, the up and down history and the unfortunate destiny of our people. I would like to introduce in respect of this book, The National Resentment Day of April 30th 1975, to all inland and oversea social folks. Former Executive Secretary-General of Phuong Hoang Intelligent Program in Thua Thien province and Hue City.